The photograph is iconic. 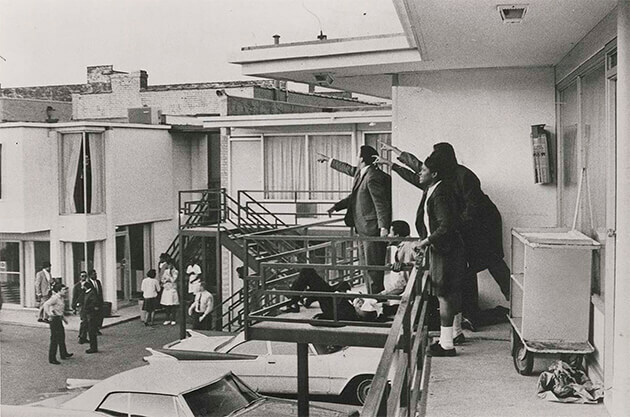 Dr. Martin Luther King Jr., only 39 years old but the nation's most prominent civil rights leader, lay fatally wounded on a motel balcony in Memphis, Tennessee. His lieutenants stood over his body, pointing frantically across the parking lot in the direction of the shooter. 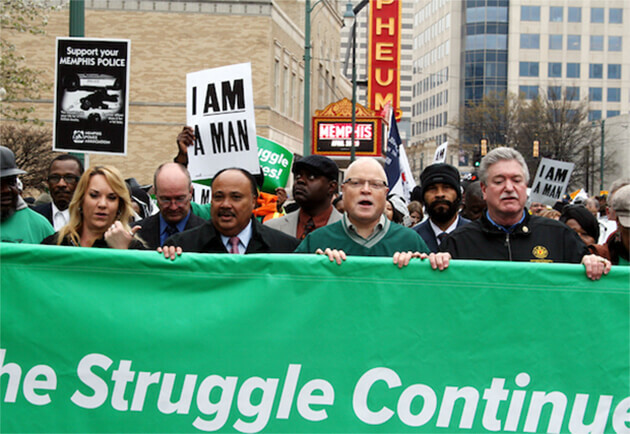 Dr. King was in Memphis to support the city's sanitation workers -- members of the union I'm proud to serve as president, the American Federation of State, County and Municipal Employees -- who were striking in protest of poverty wages and dangerous, degrading working conditions. Their fight for dignity and respect was expressed with a simple, compelling slogan: "I Am a Man." In his final campaign and throughout his life as an activist, Dr. King (whose 88th birthday the nation celebrates today), highlighted the struggle of all working people to get a fair shake. He's best known, of course, for his civil rights leadership, for his unparalleled role in ending legalized segregation and advancing the cause of racial justice. But he also had close ties to the union movement, and they were instrumental in his success. Indeed, the 1963 March on Washington -- the venue for King's most famous speech ("I Have A Dream") -- featured a prominent economic message. The marchers' demands included a higher minimum wage, job training and a stronger Fair Labor Standards Act. King understood the unbreakable links between labor rights and civil rights; he knew it was impossible to have one without the other. The needs of black Americans, he said at the AFL-CIO's 1961 convention, "are identical with labor's needs -- decent wages, fair working conditions, livable housing, old age security, health and welfare measures, conditions in which families can grow, have education for their children and respect in the community." There's extra poignancy in this year's celebration of Martin Luther King Jr. Day. After all, it comes as the first African-American president prepares to leave the White House, a few days before the inauguration of a new chief executive who has stoked racial resentment. Just as civil rights are imperiled, Dr. King's vision of economic fairness and the dignity of work is also under attack. Although the incoming president was elected on promises to lift up the working class, the available evidence suggests that his populism will turn out to be more rhetoric than reality. And around the country, newly elected and emboldened state officials are systematically undercutting the rights of working people to organize, bargain collectively and raise their voices at work. The result will be lower wages and benefits, less secure retirements and a hollowed-out middle class. And when public service workers -- like the 1.6 million AFSCME members who pick up the trash, staff the schools, drive the buses and answer the 911 calls -- are disrespected, it also weakens our communities. This Martin Luther King Day, we must be more vigilant than ever as guardians of his dream. We must not only promote diversity and racial progress, commit to serving others and heed his call for non-violent collective action. We must also meet the challenge of economic inequality and defend the labor rights that were a pillar of Dr. King's work. We must do more to empower working families and expand opportunity for people of all races.